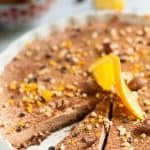 This sugar free Jaffa Cheesecake is smooth, rich and creamy with subtle chocolate and orange flavours combine together for a simple, easy and crowd pleasing dessert that looks like you’ve spent ages in the kitchen making it, but really haven’t. 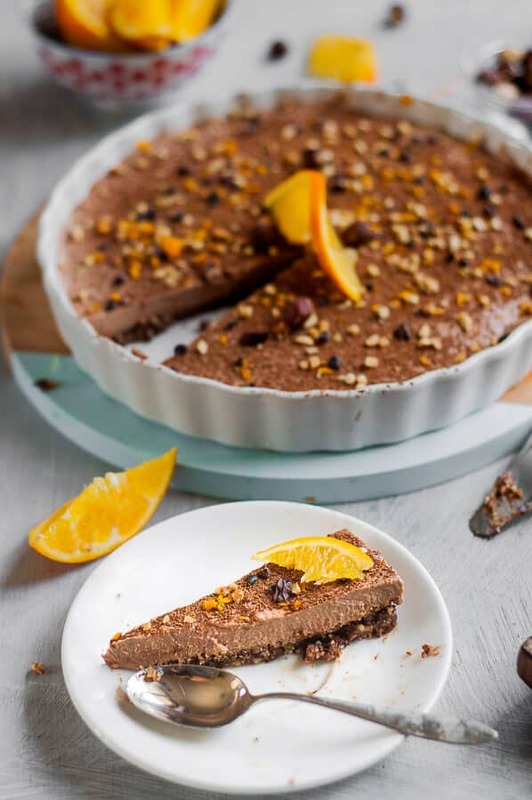 It’s naturally sweetened with stevia and fresh orange juice, and decadent cocoa powder for the ultimate cheesecake experience without the calories. 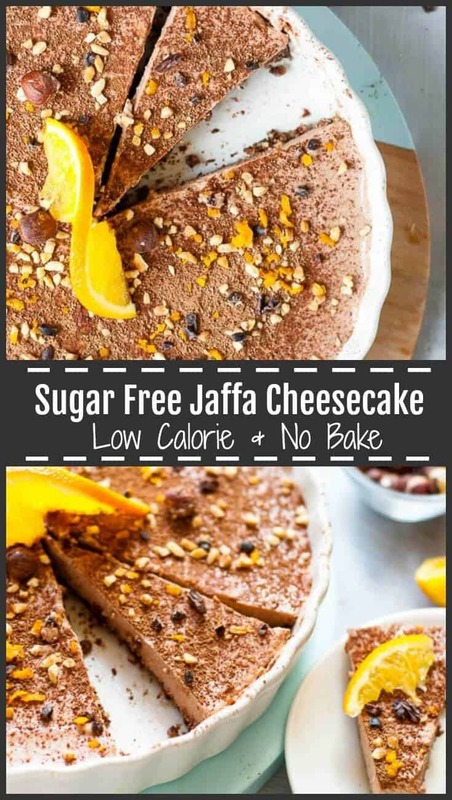 What is a Jaffa Cheesecake? 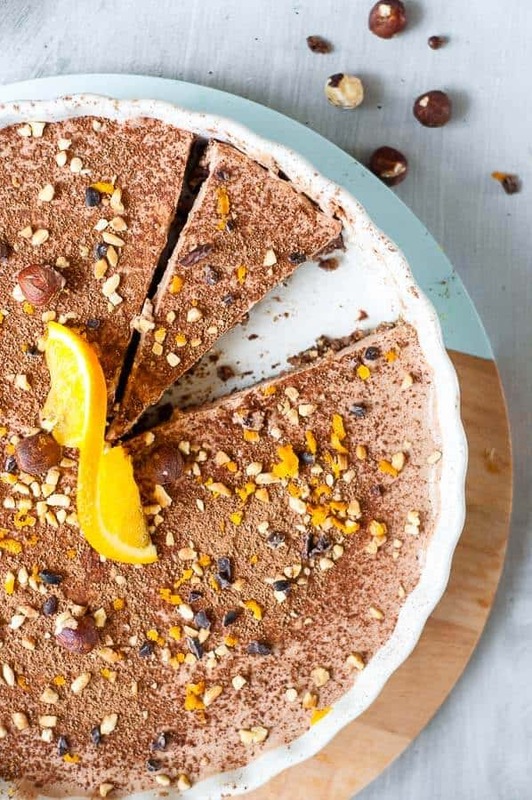 This Jaffa Cheesecake is a healthy chocolate orange cheesecake, made with a nutty chocolate base. It’s a Jaffa Cake Cheesecake made from cream cheese and smooth ricotta cheese. Make sure to buy full fat cream cheese and full fat smooth ricotta for best results. The mixture for the base comes together very quickly and is easy to press into a tart dish. 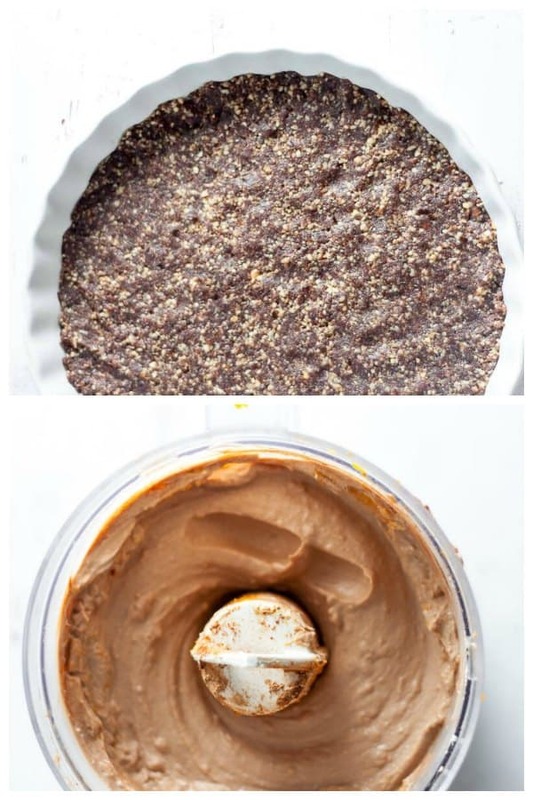 As this is a no bake Jaffa Cheesecake, it’s essentially a raw dessert. 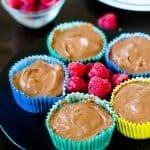 Great for making when the weather is too hot to put the oven on and you need a dessert for your dinner party . Are you a cheesecake fan? Then check these out —> Chilli Chocolate Cheesecake, Mini Lime Cheesecakes, Mini Lemon Cheesecakes and this recipe based on my mum’s classic Fruit Salad Tart, which is almost a cheesecake! How Far Ahead Do You Need To Make a Jaffa Cake Cheesecake? In a perfect world, make the cheesecake the day before you need it. This will give it enough time to set and firm up without it going soft when you’re tying to serve it to your guests. Minimum 6 hours chill time. But overnight is best. 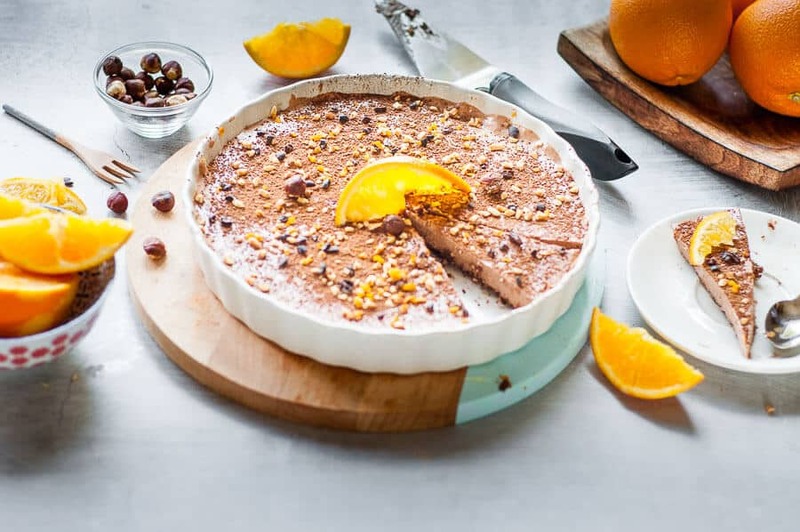 A no bake jaffa cheesecake will keep in the fridge for upto 4 days. Make sure it is in either in an air tight container, or firmly covered with plastic wrap. I don’t recommend freezing it. The secret ingredient I use is powered gelatine. However there are other alternative if you are opposed to using gelatine, such as agar agar (available from health food shops). Powdered gelatine is easy to work with and is readily available in most supermarkets. It’s also important to get the ratio of water to gelatine power correct for the amount of cheesecake filling you have. I use the McKenzie brand, available from Woolworths supermarkets in Australia, but any powdered gelatine would be fine. The trick is to use a bowl, not a jug, add the water first, and gently and slowly sprinkle the gelatine into the water. Then let it stand for 5 minutes so it can become gelatinous. If there are any lumps, microwave for 10 seconds and press them out with the back of a spoon if necessary. 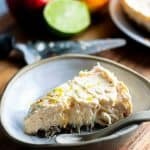 A food processor/high speed blender will make it much easier to make a cheesecake as you can get the consistency of the base nice and even, and the filling will come together better and more easily. Taste the cheesecake filling before spooning it into the tart dish. If it needs more sweetness, add more stevia. If it needs more orange, and more fresh OJ. Always blitz again if adding more flavours. Once you have it just right, make sure you’ve scraped all the filling from the sides of the food processor and mixed that in before spooning it out into the dish. When refrigerating a chocolate orange cheesecake, cover with foil or plastic wrap to protect the top. An even better idea is to use a container with a lid to refrigerate. Use fresh orange juice, not one from a bottle that has who knows what other additives. Fresh really is better. Make sure you use juicer that filters out the pips and seeds as you don’t want these in your cheesecake. One of those little hand juicers you can pick up for a few dollars at the supermarket is ideal. PRO TIP: In lieu of the granulated sweetener, you could also use a liquid stevia, either unflavoured, or chocolate flavoured. You can buy these from health foo shops and online. Do be careful though as these are concentrated forms of sweetener, and are used in different quantities than the granulated sweeteners. My inspiration to make this cheesecake was my sister’s 40th birthday. She came for a visit a couple of days after the big 4.0. and I wanted to make a special dinner and dessert to enjoy with a few glasses of our favourite wine. Plus I remember the Terry’s Chocolate Orange Cheesecake from when I was growing up. They were delicious, but full of sugar. 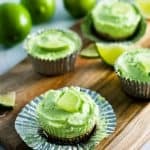 This is my healthier, lightened up version, free from refined sugars, and much more waistline friendly. 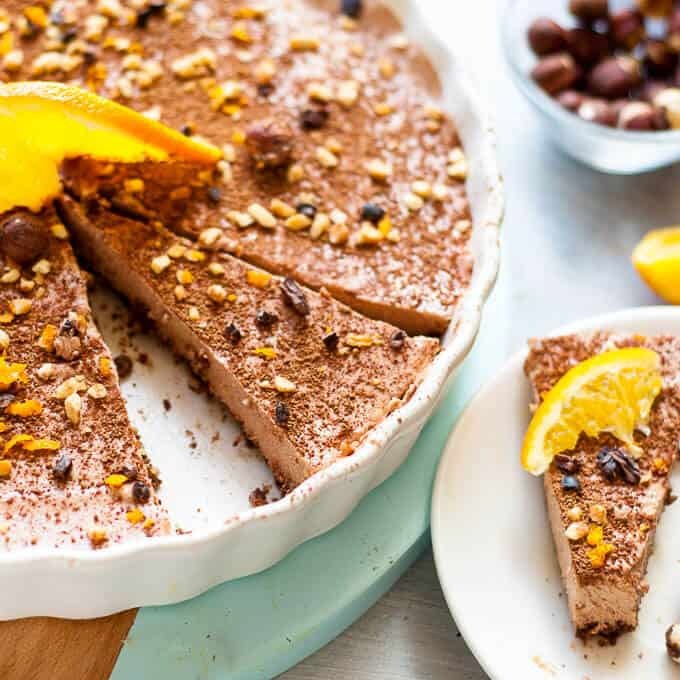 This cheesecake is smooth, rich and creamy, naturally sweetened with stevia and fresh orange juice, and decadent cocoa powder for the ultimate cheesecake experience without the calories. Remove from food processor and press into a round tart dish (I used a dish 25cm in diameter). Set aside, either on the bench covered or in the fridge for a couple of minutes while you make the filling. Make the gelatine mix in a jug. Add the boiling water first, then the powder, stir quickly in with a fork to combine. Add the gelatine mixture to the cheesecake filling in the food processor and blitz again for another couple of minutes, making sure to scrape down the sides to make sure its all mixed in. Assembly: pour the filling into the tart base, smoothing out with the back of a large spoon. Serving Idea: add some granulated peanuts scattered over the top, a dusting of cocoa powder, and some more orange zest. Maybe add some whipped cream or double cream as well. Store cheesecake in the fridge in an air tight container for upto 4 days.